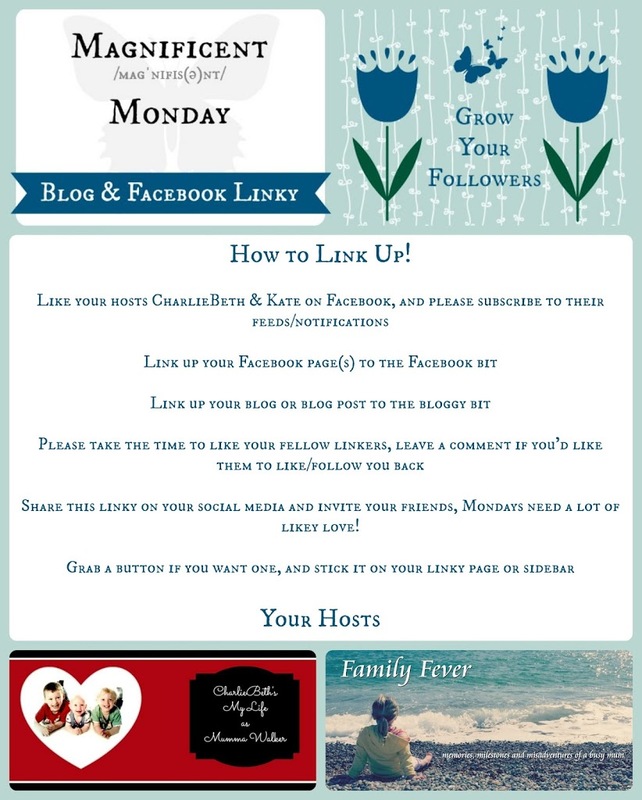 Welcome to my new blog hop – Magnificent Monday! Thank you for hosting! This is going to be great making new friends! Following ALL that have linked before me on bloglovin and commented on all blogs apart from sitstillmonkeys.co.uk because I just keep getting a malware message when I try to access the blog. 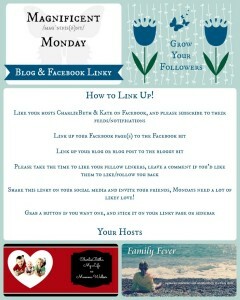 Great new blog hop. Sorry I’m a day late and where do I find the code to grab the button?